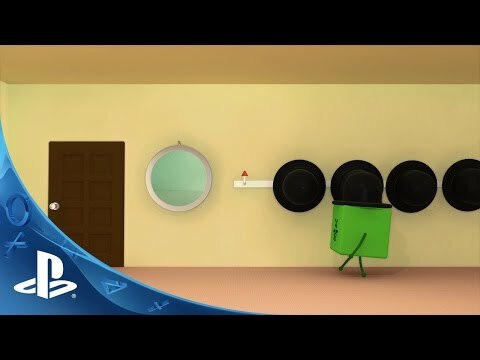 From the criminal mastermind behind Noby Noby Boy and Katamari Damacy comes Wattam - a unique, charming world bursting with interesting people, overseen by the Mayor and his trusted Deputies. From the creator behind Noby Noby Boy and Katamari Damacy comes Wattam - Long ago, a huge explosion blasted the world of Wattam across the galaxy. Help the Mayor build stacks and chains with characters like Sushi, Flower, Cloud & Poop to create joyful, colorful explosions that will guide the diaspora of Wattam back home. Look for more details on this extremely fresh, 3D action game with interactive sound, throughout 2015! The Mayor invites you to explore the colorful world of Wattam and bond with over 100 unique and carefree characters. The connections you form open a treasure chest of possibilities - playing, switching, stacking, climbing, chasing, floating, exploding and/or dancing all in the name of fun. The Mayor loves creating colorful explosions. The more joyful the explosion, the more characters will come and play. Discover what’s possible when you abandon all preconceived notions about what it means to play in games. Learn about the different origins of Wattam’s citizens, then work together with them to solve weird puzzles, celebrate special events and explore your imagination to its fullest. Each character in Wattam has their own unique melody. Characters can also chain together to create whimsical mashups.